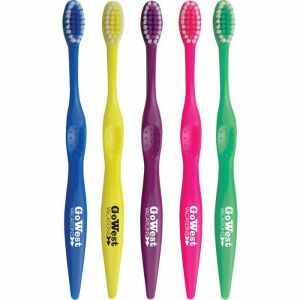 Customize toothbrushes today at cheap wholesale prices. 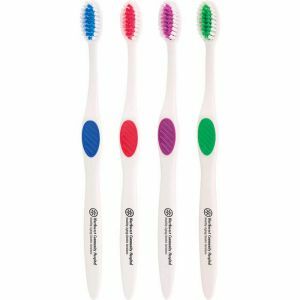 Our personalized toothbrushes, which are available in all styles & colors are perfect for grabbing attention at your upcoming promotional events or campaigns. Make your customers' smiles wider and brighter with our quality toothbrushes with soft brushes that won't hurt their gums. 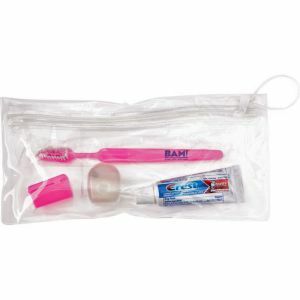 Imprinted tooth brushes with your logo or artwork make great giveaways at promotional or marketing events. Free set-ups and made in the USA! 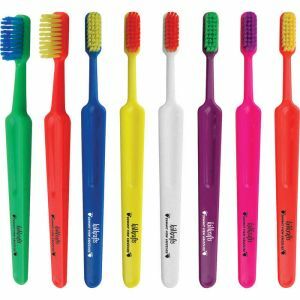 Our personalized toothbrushes have low prices and free set-ups! But we are not just about offering you cheap wholesale prices, we take care and walk you through your order with us from start to finish and make sure you have the perfect experience. Also notable is our fast production times - all our promotional toothbrushes have 5 work days turnaround times. If you need them faster, please call customer service at 1888-412-6136 and we can see if we can print and ship them even faster that our standard production time. Whatever the case, we will make it work for you! 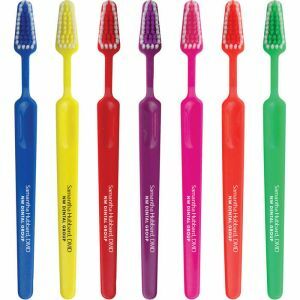 If you desire excellent quality, look no further than PromotionChoice.com - Our printed toothbrushes have large imprint areas and are made with fine quality materials and super soft bristles/brushes that will make your customers smile with delight. Don't worry about quality when you are ordering from us. 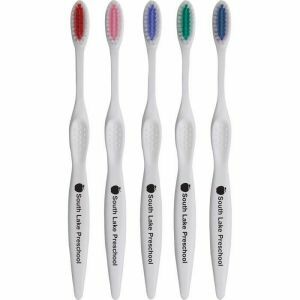 All of our branded toothbrushes go through tight tight control procedures and each one is thoroughly checked to ensure that each imprinted toothbrush is in good condition before we ship them out in the mail for you. Looking for different colors and styles? We have them all! 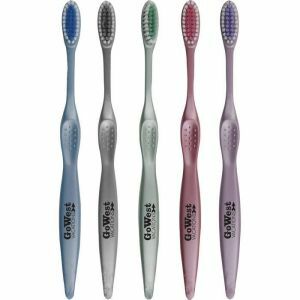 We have many lines of good quality but cheap, economy, and budget friendly toothbrushes available, and each style has a dizzying array of different colors in stock. Click on each style to find out more and see pictures of the different colors available. 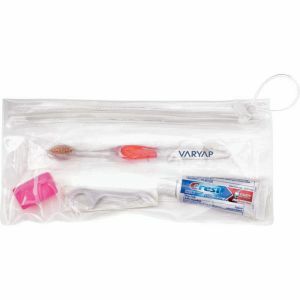 Our huge variety includes the Junior line, Concept Colors style, Junior Hot Tropics Toothbrush, Signature Soft line, Teen Accent brushes, Winter Accent Toothbrushes and many more for all your promotional and giveaway needs. 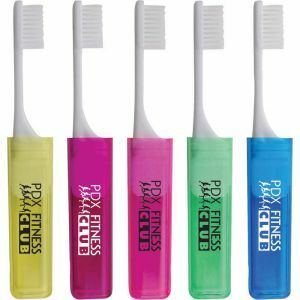 Personalize toothbrushes today and see them everywhere with your custom logo or message. Perfect for doctors' offices, dentists, hygenists, banks, gyms, and at reception desks. This is the perfect item to make your logo that much more memorable. Ordering online has been made super easy for you, the customer - Just place your order directly on our user friendly website or call us to place your order over the telephone or over our online chat. 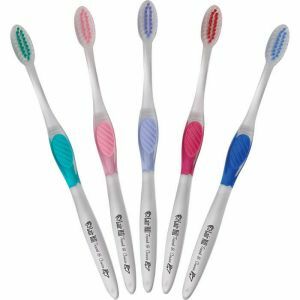 If you see a logo toothbrush you like, click on it to access more detailed information and also to see our super cheap pricing. 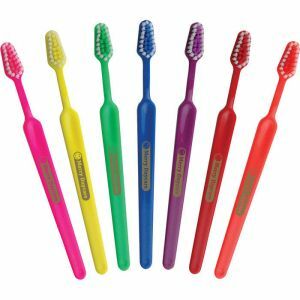 You will surely be delighted with our custom toothbrushes. So do call today! Our friendly, patient, and experienced customer service agents are ready to help you with your logo, design, or artwork to have printed or branded onto our myriad variety of brushes to make them yours. 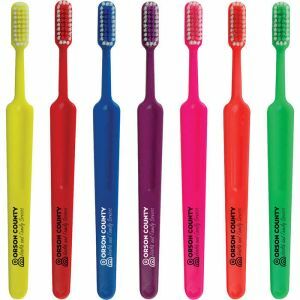 Your next promotional event, tradeshow, convention, or campaign will be a mega hit with these excellent customized toothbrushes.